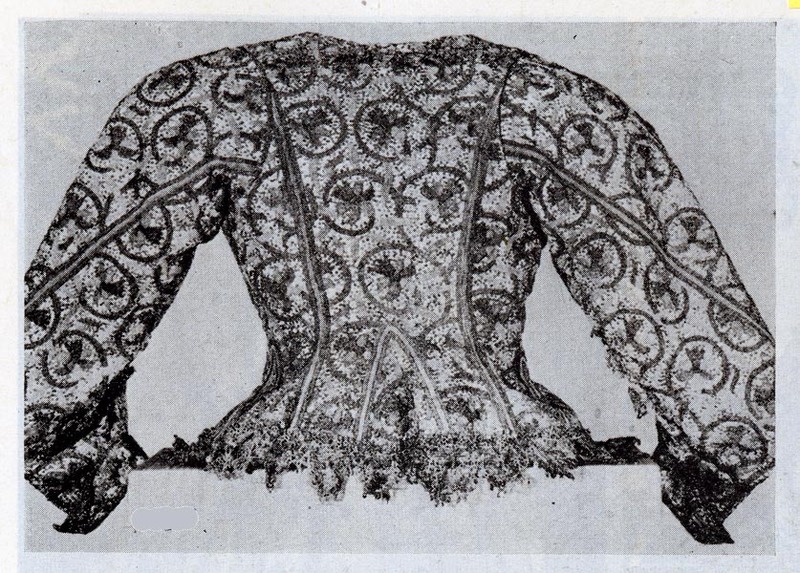 There are several surviving Elizabethan and Jacobean jackets placed in museums and private collections all over the world. The theory goes that these are house jackets, not coats to be worn outdoors. Most are informal by nature, some fitted, some not, some short sleeved, and some long sleeved. 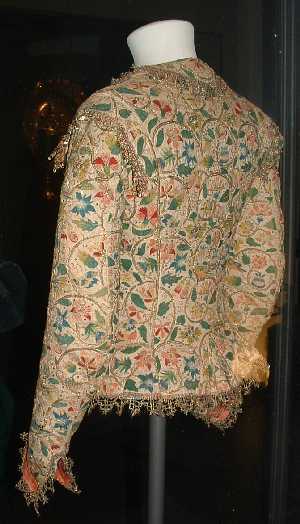 What seems to be the common link, is the highly ornate, detailed embroidery, all over the jackets and sleeves. It seems like it could be simulated with cords and brocaded fabric. 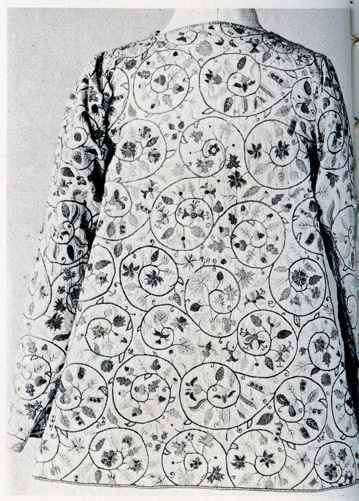 Jacket#1 Link to Image Back of Embroidered jacket without gussets, in white silk embroidered with polychrome silks and metal threads. It is lined with pink silk shag. 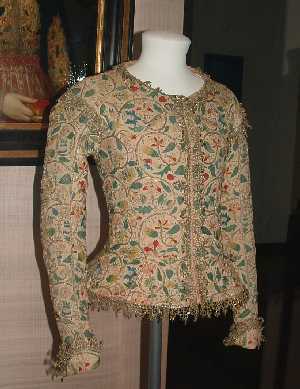 C 1590-1600. 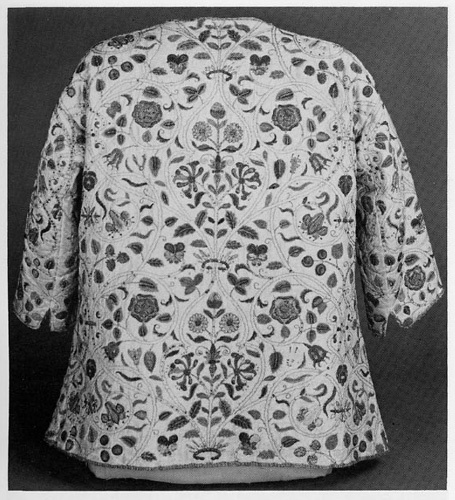 Jacket#2 Link to Image Womans's jacket in embroidered linen. 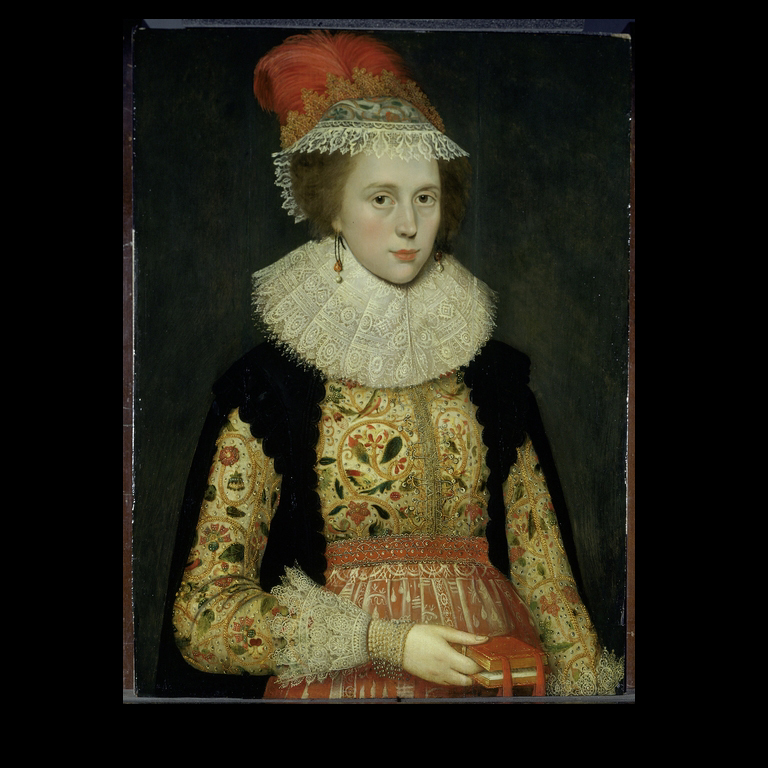 Late sixteenth century.